We're sorry but all Size / Finish combinations for this product are currently out of stock. You can be notified upon their arrival by choosing the Size and Finish options you are interested in and then entering your email in the box below. All bars are not created equal. Bagger Nation fans asked for a low slung bar for their bikes and they also wanted more pullback so they weren't left stretching forward to reach traditional drag bars. So Paul Yaffe combined the classic style of Monkey Bars with the signature, tightly bent uprights with good pullback and BAM the Monkey Sport Bar was born! These high-style bars have tons of attitude and all the comfort that original Monkey Bars are famous for. They feature the exact same natural hand position, but they are 33 inches wide with a 6 rise and over 9 of pull back. 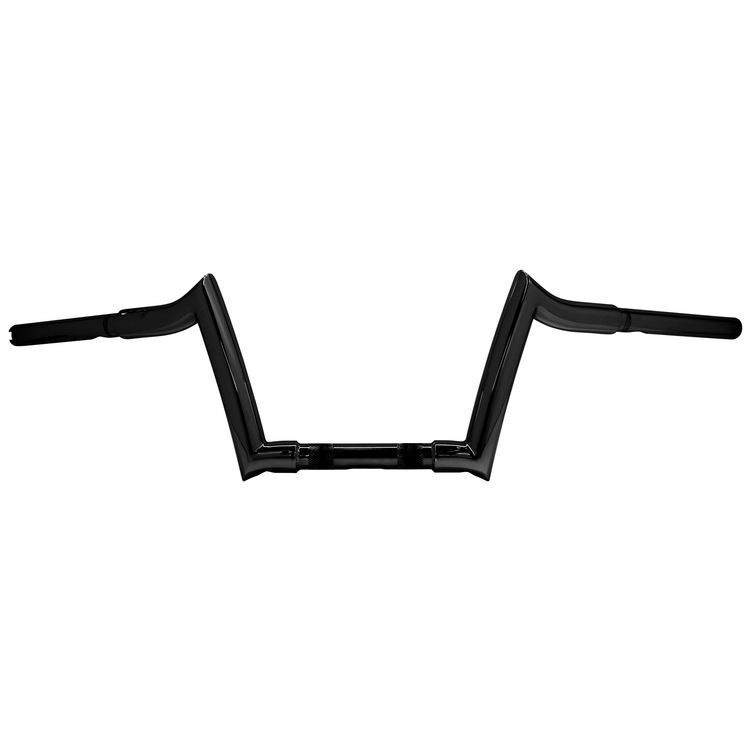 So if it's a low slung profile you crave, the Monkey Sport Bars should suit your needs.